For this pilgrimage, we have chosen to follow the story of creation as we journey through the historic sites of the United Kingdom. Celtic Spirituality is a very large part of the culture in Scotland and that has played a very large role in the creation of our spiritual itinerary. Finding and encountering God in new and wonderful ways is central to Celtic Christianity; finding the goodness in all of God’s creations. As we journey through the United Kingdom, our eyes will truly be opened to the goodness of God’s creation. Below is an overview of each day along with the chosen scripture for that day. Please keep us in your prayers as we travel and experience God in a whole new way. - As we begin our journey, we will gather to read scripture for the first time in Newark during our layover. During our time in Scotland we will be following the stories of creation. Tomorrow, God will begin his work creating the world around us but also within us. Tomorrow marks the beginning of creation, but in the beginning, the Word was already there. - Night and Day – In life, there are guaranteed times that we will experience both night and day. We will have our ups and downs. Some of you may be in the middle of the darkest night and some of you may be enjoying the most glorious day, and that is ok for everyone. Wherever you are, in whatever place, remember the concluding line from the airport…. The darkness did not overcome it. There will be darkness, but it will not overcome God. (We will be visiting Durham/Norman Castle, which is the only castle which NEVER suffered a breach by Scottish invading England. This also served as the Bishops seat. The castle itself has experienced darkness, but it was never overtaken.) When have you experienced God in time of night and when have you experienced God in a time of day? - God creates seas and dry lands and islands….as we travel by boat to visit the Farne Islands. I mean, pretty perfect. We will see the goodness of God’s creation as we explore both land and sea. Where did you see signs of God bearing fruit through Farne Islands? - God creates night and day and puts a dome in the sky to give “light to the world”. 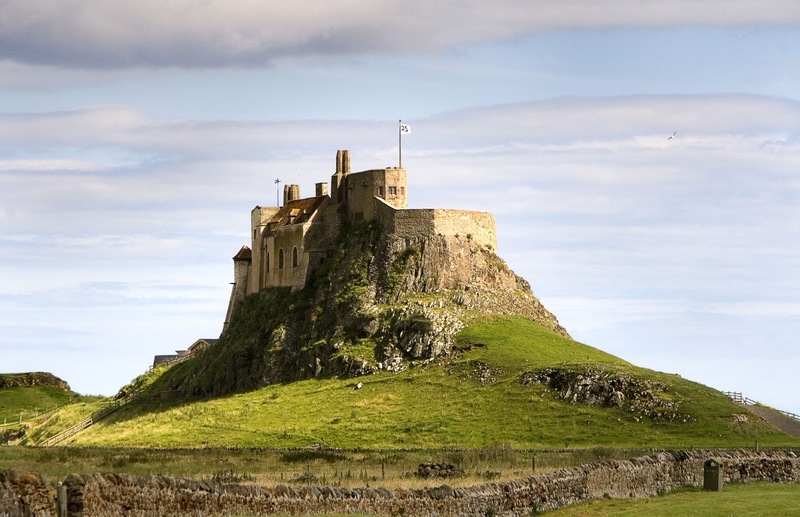 Lindisfarne was the center of Christian missions in northern England and had a significant impact on the life of Britain. How can we be the “light of the world” when we return home? - God creates the animals, birds, and sea creatures. Perfect for a coastal hike to witness and enjoy all of these creations. Once we return home, how can we remember to stop and enjoy the goodness of God’s gift of creation? - Sabbath. God rests. We go to church! Why do we go to church on the Sabbath? What do we do to “rest” from the daily grind? Why is Sabbath important? When we stop to rest, our hearts become truly open. We realize that even during the darkest days, we are never in this alone. Here, we have our fellow pilgrims, at home we have our parents, we have our church, and when we say church, it is larger than just CHC or the Diocese of West Tennessee, or even the United States. This morning we will worship the EXACT same way, saying the same words and prayers as we do at home, even though we are thousands of miles away. It shows the great Anglican community that we are a part of and that we are never alone. - God nurtures and waters the earth so that it may grow. Then God forms man of the earth. Do we allow ourselves to remain connected to the earth that brings us life and nourishes us? How can we find ways to connect with the land from which we were created by God? - Just as Jesus and the disciples experienced a very thin place at the top of a mountain, today we will ascend Arthur’s seat. From here we will be very close to God as we look out over the entire horizon of Scotland. Have you ever had a “mountain top” moment? Did things look different as you returned to the ground? - When coming down, Jesus remarks that they should not share what they had seen until after the Son of Man has been raised from the dead. After having their faith reaffirmed in the transfiguration, now Jesus is saying he will die. This baffles the disciples. As we prepare to leave, we may be near the end of our journey here, but just as Jesus is always with the disciples, so will this trip be with us. How will this pilgrimage form your journey forward? - Before returning to our families, we will charge them to take what they have learned and keep it with them, but also share it what they have learned with others. Before returning to our families and friends, we are commissioned to go forth and spread the Good News we have encountered with others. Be patient and kind with those who have not been on this journey with you, and allow God’s light to shines through your continued pilgrimage of faith.